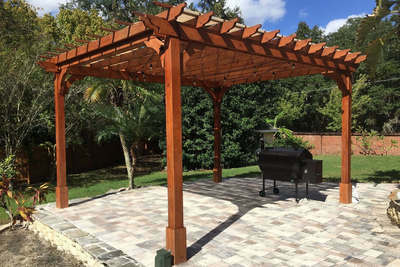 A Pergola is an outdoor structure generally made of wood columns placed vertically erect at regular intervals in order to support roofing grid of rafters with thinner batons of wood placed in different formats for decoration . Generally the roof of a Pergola is kept open or covered with glass. Pergola can be a free-standing unit or could act as an extension of room. Pergolas look best when created over a wooden deck, generally surrounded with grass. Red Floor India offers customised Pergolas with the most creative designs. Our Pergolas are created from columns and rafters made from Thermally Treated Pine Wood, which is Extremely Durable, Whether and Water proof, at the same time Aesthetically Stunning. Artificial Grass, also called Artificial Turf, is the best alternative to Natural Grass, where one needs maintenance-free greenery on the floor. Red Floor India offers Artificial Grass in 3 different variants of 25mm, 35mm and 40mm thicknesses. Our Turf can be used in different areas such as Balconies, Open Terraces, Swimming Pool surroundings, Daycare centres, Play Grounds, etc. Our Turf is soft on the feet as it is stunning and soothing to the eyes. 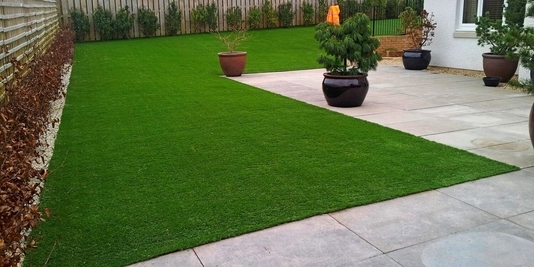 Artificial Grass, supplied by us has been widely appreciated by our end consumers as well as by Architect and Designers.